Sleep comfortably with are exclusive satin strip luxurious pillows. Filled with 100% hollow fibre, our plump pair of pillows is ready for granting you a peaceful night's rest. Cased with a 100% cotton cover, our satin strip lavish pillows will support your head while you move around during the night. Ideal for back and side sleepers, our quality pillows will give an outstanding support to your shoulders so that you can wake up feeling well rested and rejuvenated the next day. 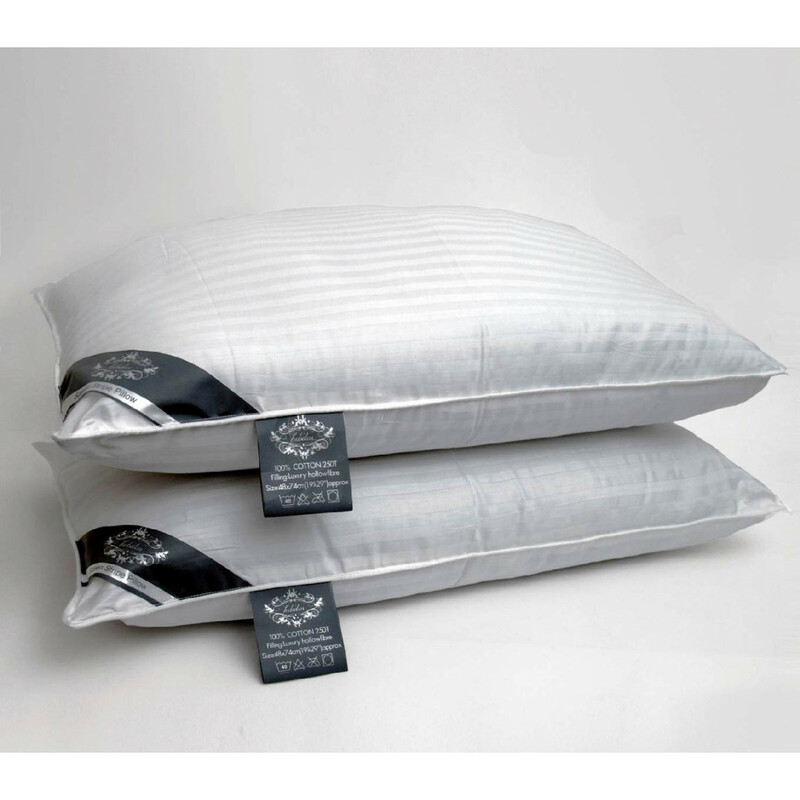 This satin strip pair of pillows can be machine washable at 40 degree Celsius and are highly durable. Our super soft synthetic pillows are filled with premium quality hollow fibre and microfiber fillings and are boon to allergy suffers. Its lavish casing is smooth, soft and highly breathable. Apart from providing relief from allergy they will give outstanding support to your neck and back. Refurbish your bed with our lavish synthetic pillows for more serene and peaceful sleep. Our exclusive ranges of synthetic pillows are machine washable, handy and easy to maintain. Available in various sizes, our synthetic pillows will surely grant you a quality sleep and will offer tremendous support to your body.